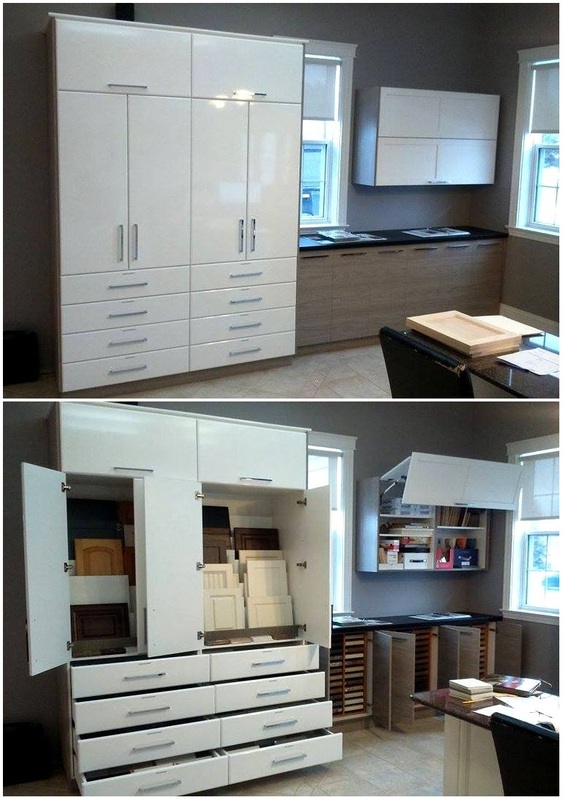 Custom Cabinets Fredericton | Home | Executive Woodworking Ltd.
Read about the many design, construction and installation services Executive Woodworking offers to Fredericton’s homeowners and businesses. We admit it. We’re downright persnickety about quality. More so, we’re obsessed with creating a customer experience unlike any other renovation company in New Brunswick. That is why Executive Woodworking Ltd. sends out an interior designer and craftsman to each project, and fabricates every piece using the latest in CNC-powered technology. Whether it’s a cabinet, countertop, fireplace mantel — or even a sink surround — everything has to be absolutely perfect. In employing a state-of-the-art CAD-powered CNC routing and boring machine, we are able to provide precision results like never before. Learn more about how we use computer-aided drafting software and a CNC machine in our shop. Preview Your Design — Before it’s Installed! Using three-dimensional, computer-aided drafting software, we are able to show you how your renovation will appear before it is installed. This service is truly a hit with our customers as it allows them to tweak the look, fit and finish of their design to get it just right. The staff of Executive Woodworking invites you to give us a call to discuss your project. Once we go through the details of your project we can the provide you with a free estimate. As you step into our showroom, you will be greeted by our front office reception staff. The first thing you may notice when you walk in is the beautiful fireplace surround to your left, but our showroom doesn’t end there; we have many cabinets, countertops, mantelpieces, hardware items and woodworking examples to show you. Get directions to our showroom, today! With Future Doors, you can count on superior elegance, workmanship and durability. Robert Bury & Company has served the region’s woodworking needs since 1904. 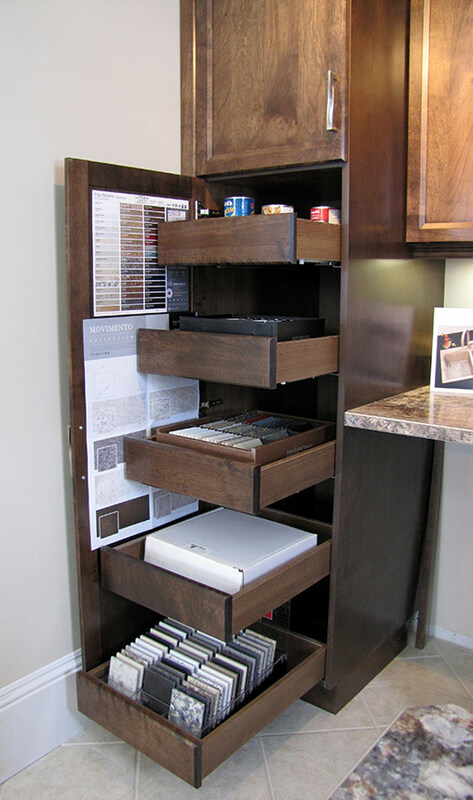 We are proud to carry specialty hardware and complementary products from Richelieu. Kindred carries a full range of stainless steel sinkware and washroom products. Bluff Hill are experts in thermofoil doors and related accessories. We’ve chosen Countertop Creations for granite, solid surface, quartz and marble countertops and custom-edged tops. Thermovision creates some of the most striking polyester, polymer and high-gloss doors and furniture components. These are a perfect complement to any kitchen or living space. Read about the husband and wife team of Eric and Jeri, and how they created Executive Woodworking Ltd.
See some of our most recent kitchen, bath and living room renovations. With Executive Woodworking, our quotes are always free. Contact us today to speak with a designer.